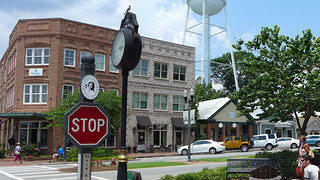 Downtown Senoia was used as the set for the town of Woodbury in AMC's "The Walking Dead." It was early 2013 in Senoia, Georgia—two years after AMC began filming their hit show The Walking Dead in a local studio—and Terry Pylant was standing in front of an 1867 farmhouse that years of neglect had driven to disrepair. The owner had gotten it at a fire-sale price, but she and Pylant—a senior principal at Georgia–based architecture and planning firm Historical Concepts—were now confronting exactly what she’d gotten for her money. The roof over the front porch was caving, the interior was gutted, and sagging floorboards were being propped up by stacked rocks. The contractor, Pylant recalled, had a simple solution. But Pylant, the new homeowner, and the whole town of Senoia had different ideas. They were in the midst of a long–term planning and development process that would ultimately restore and repurpose old buildings, revitalize the historic downtown, and bring a bunch of zombies out from the studio into the streets. A farmhouse from 1867 was restored in 2013. 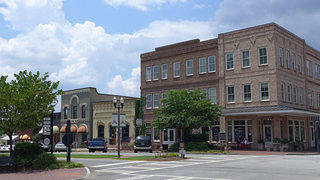 Senoia, a former cotton town, was settled in the 1820s about 35 miles outside of Atlanta. At the intersection of two railroads, it had grown to about 900 people by 1883. Most of the original buildings on its main street were constructed around the turn of the century. Today that farmhouse has been rehabilitated and still stands. Meanwhile, the set for The Walking Dead has grown to encompass the town itself. The show’s safe haven of Alexandria is actually The Gin Property, a residential development of brownstones. And the historic main street, now bustling with shops and restaurants, has played the show’s fictional town of Woodbury. As recently as the mid 2000s, though, Senoia was facing a very different fate. With fairly low property values and its proximity to Atlanta, leaders and residents knew development was coming. But they also knew the wrong kind of renewal could build over the history and fundamentally change the town’s aesthetic, which has been used in over 20 films going back to the 1980’s (Driving Miss Daisy, Fried Green Tomatoes, and Sweet Home Alabama, to name a few). Before: Storage for a local furniture store. 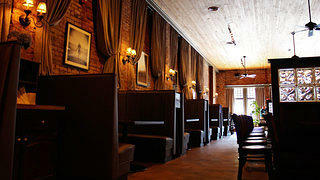 After: Nic & Norman's restaurant is a local hot spot. A proposed strip mall galvanized community members who saw it as a threat to the town’s historic identity. Without a major highway nearby, Senoia’s commercial district had largely avoided the type of sprawling, car-centric shopping development that had characterized much of the 20th century. So Tigchelaar and his business partners, whose studio had become a mainstay of the community, decided to take matters into their own hands, buying up empty lots along the main strip. He brought in Historical Concepts to design infill buildings for empty lots that would be architecturally appropriate. Old structures were repurposed. A restaurant replaced a furniture storage facility in an early 1900s building. A turn-of-the-century wood structure became a bicycle shop. 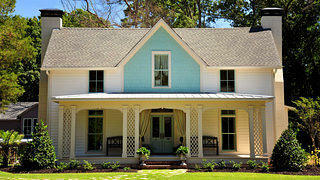 The town’s government made the protection of Senoia’s historic identity a priority as well. In 2005 the Historic Preservation Commission was formed, setting design guidelines for new development and screened parking, adding sidewalk furniture, and making other streetscape improvements. According to Mayor Larry Owens, there were just eight businesses downtown in 1998. Now there are over 50, with all the available space leased up. 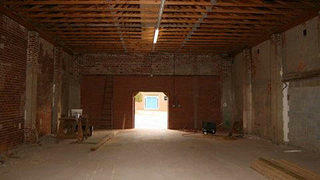 In 1998, there were eight businesses in downtown Senoia. Today, there are over 50, with a waiting list for new development. The Walking Dead has undoubtedly brought life to Senoia. Legions of fans, known as “Walker Stalkers” pour into town when the show is filming and take tours of the recognizable sites year round. There’s even The Woodbury Shoppe on Main Street, which sells Walking Dead paraphernalia, and a themed coffee shop cleverly called The Waking Dead. But residents insist that it’s the town’s history, now well intact, that will keep bringing visitors to Senoia long after the show’s filming wraps for the last time. By purchasing any of these products using the links on this page, you'll be supporting the National Trust. A small portion of the sales comes back to us to support our work. Looking for other ways to support preservation? Consider giving a gift membership to the place-lover in your life.